There were delays of 15 minutes or more on Shanghai Metro's Pujiang Line after switching equipment was damaged. The track at the Metro's Pujiang Line Huizhen Road Station was struck by lightning around 2pm on Tuesday, damaging a track switch. Sparks and smoke could be seen from a distance. Shanghai Shentong Metro Group said the lightning strike caused the switch to malfunction but no one was hurt, and there were no trains near the station at the time. Following the incident, all Pujiang Line trains were delayed for 15 minutes or more as they reduced their speed. Operation of the line was restored 45 minutes after the strike, Shanghai Metro said. 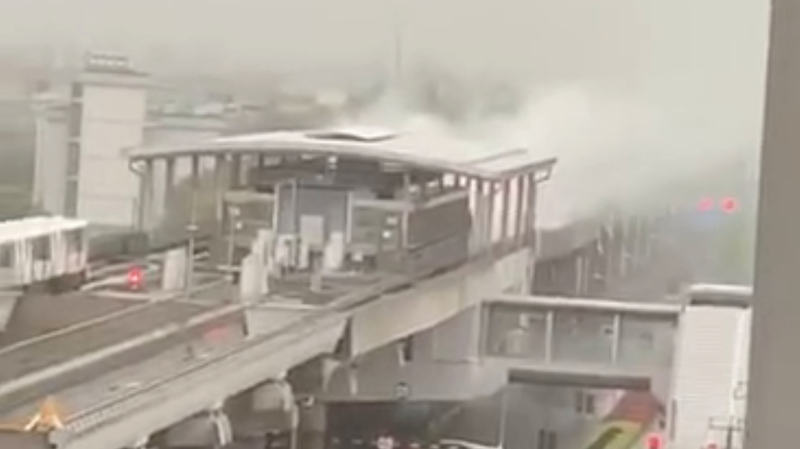 A video clip shows sparks and smoke rising from the tracks at Huizhen Road station after a lightning strike around 2pm on Tuesday.